Everyone is talking about Dry Brushing. I have been doing it for a while and I wanted to share the benefits with you. Dry brushing works to stimulate the lymphatic system and help activate lymphatic drainage. This promotes the excretion of toxins and pumps up our immune system, preventing inflammation and optimizing our health. Dry skin brushing helps exfoliate and brush away dead skin cells. you can notice immediately that your skin feels smoother and brighter and that you have a glow. Because dry skin brushing increases blood flow and improves circulation, one of the benefits of brushing is tighter, firmer skin. Dry skin brushing also stimulates the nerve endings in the skin. I find that brushing each morning is really rejuvenating, it feels good and it is invigorating. The lymphatic system runs throughout the entire body and helps the body get rid of toxins and waste, essentially acting as our own personal cleanup crew. The system works by collecting waste from our tissues and organs and moving it through the blood to be drained. A healthy lymphatic system is crucial to maintaining good health. If it isn’t functioning correctly, or is clogged toxins can slowly accumulate, eventually leading to congestion and illness and disease. You must do it before you take a shower, hence "dry brushing"
Because of the way the lymphatic system runs , it is important to brush towards your hear for optimal result. I start with my legs, with long strokes i do about seven strokes to do each leg, Going up, I do circular stokes on my belly, I do my arms the same way, long stokes towards the heart. See illustration. 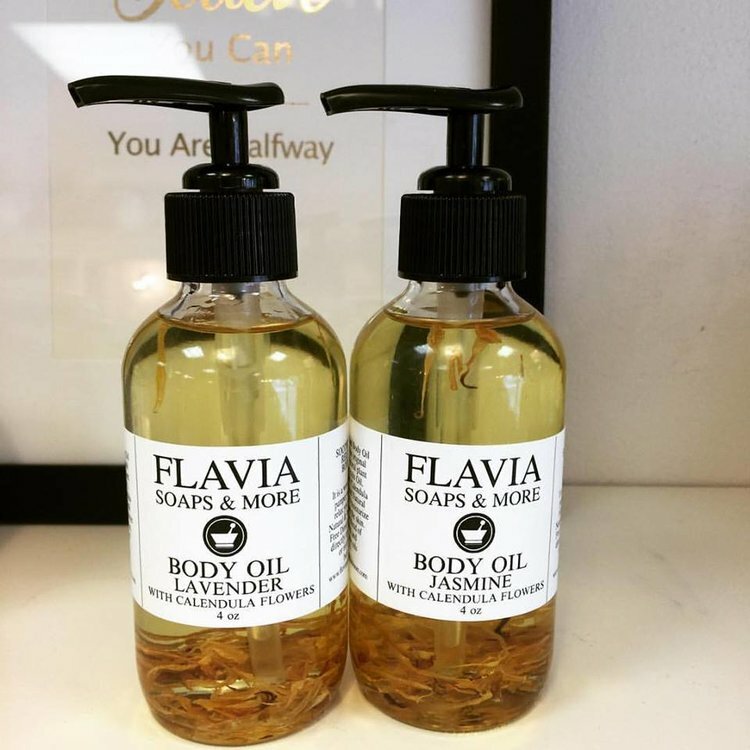 I then take a shower and follow up at the end with a good moisturizing oil, I like to use one of our Body Oils - While the skin is still damp, which happens to be the best time as the oil will absorb into your skin beautifully. Massage your skin with love and care. The whole process should not take long, but once it becomes a habit, your skin, your body and your mind will thank you.